Spring is almost here, which means it's finally time for salads! 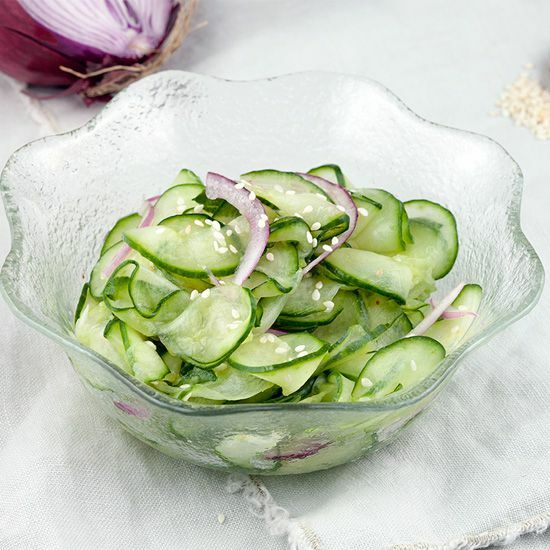 I really love salads, such as this lovely cucumber and red onion salad. CHOP the cucumber into slices as thin as possible. You can do this by using a kitchen cutting machine, mandoline or even a chef’s knife. PEEL the red onion and chop into thin pieces. 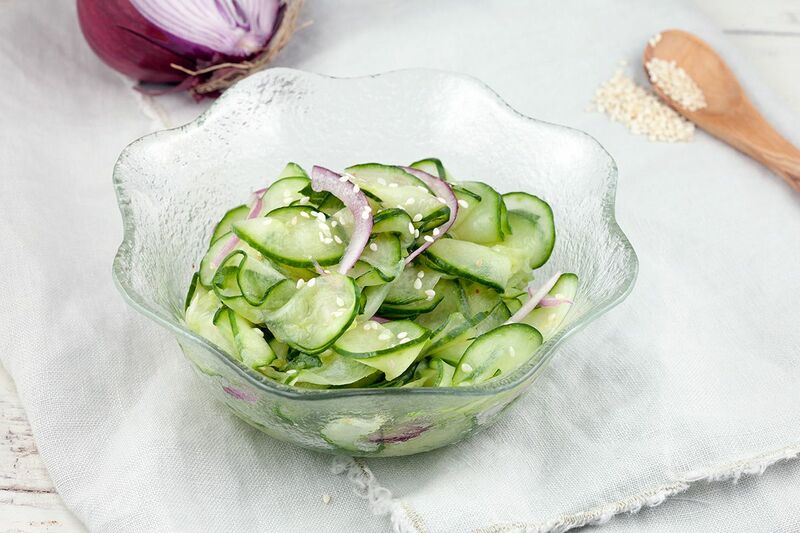 COMBINE the thin cucumber slices with the red onion, rice vinegar, sugar, salt and a bit of ground chili to taste. Wait at least half an hour so the flavors can enhance. 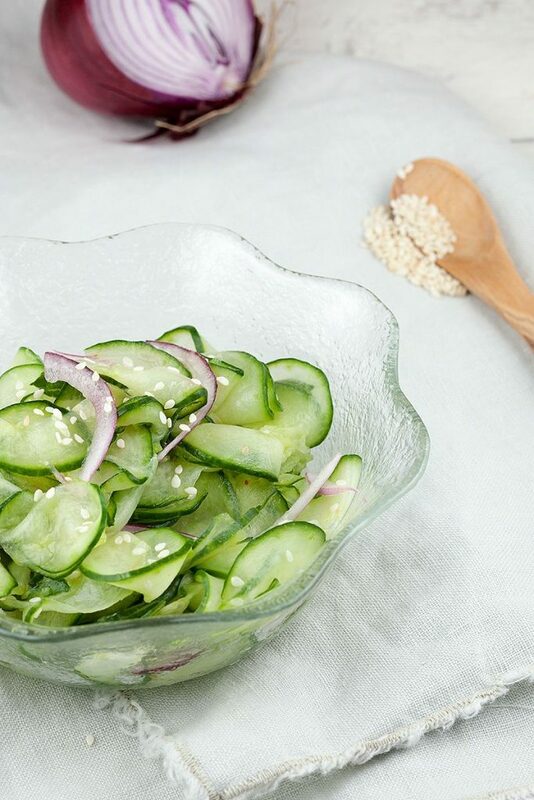 DIVIDE the sesame seeds over the salad and SERVE as a side dish. 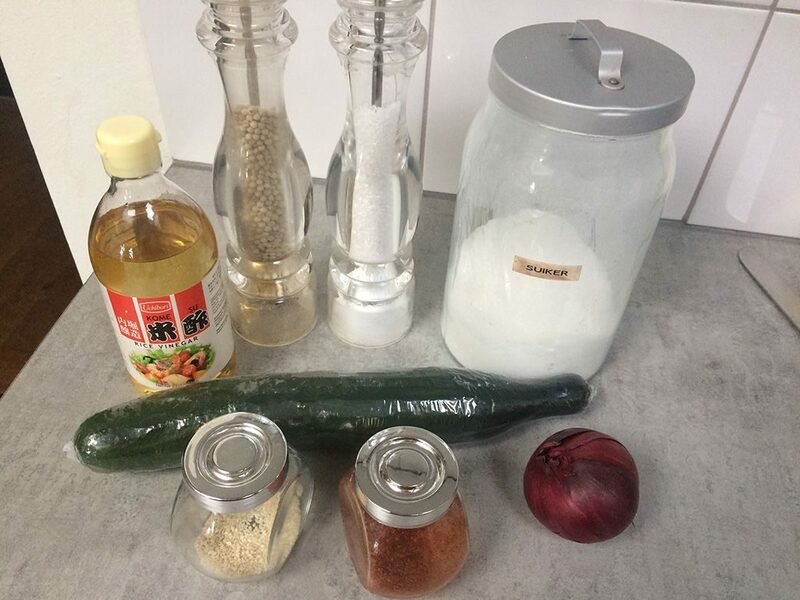 We ate this lovely cucumber salad with these awesome homemade lemper ayam.